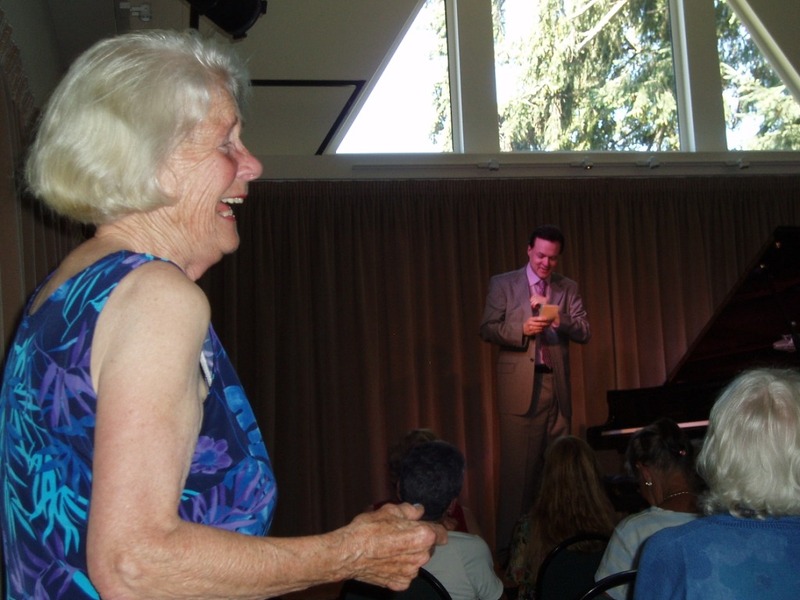 Peter Arnstein performed to an attentive audience at the Pender Harbour Music School. His repertoire ranged from classical gems to whimsical jazz. His composition "Hypnotico: Under the Shade of the Cedar Trees", celebrating the rain forests of B.C., was masterful. Peter's playing was interspersed with many interesting stories. Shendra Hanney worked tirelessly to organize two concerts. There were many chuckles when Peter teased Shendra by pulling a "rolodex of tasks" out of his pocket to signify the many conversations and timelines Shendra spearheaded to make this event happen. A huge thank you to Peter, Shendra and to all the volunteers who made this event such a success. Pender Harbour Living Heritage Society was very pleased to benefit from proceeds of the performance at the Pender Harbour Music School. 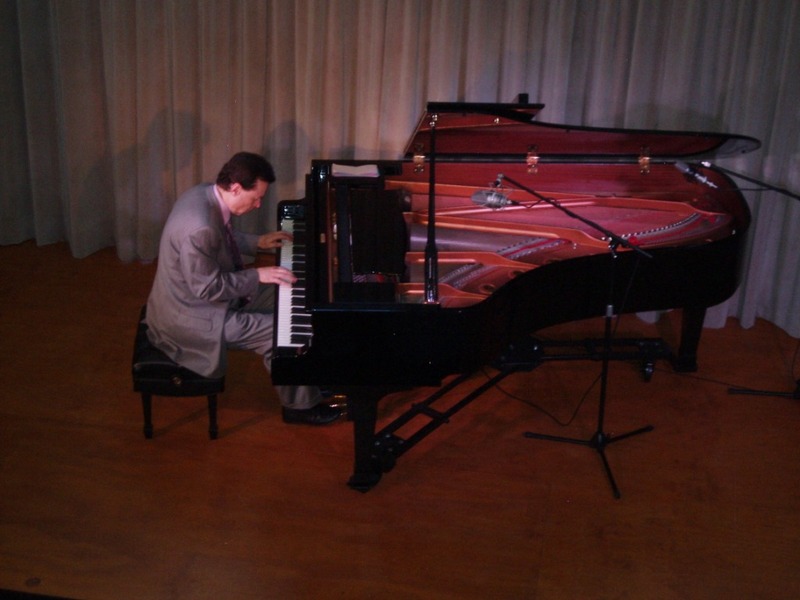 Peter Arnstein, an award-winning pianist and composer, will perform at the Pender Harbour School of Music, Madeira Park on Sunday, July 21, 2013 at 2 p.m. This concert is a fundraiser for the Pender Harbour Living Heritage Society and was thoroughly enjoyed by all. Special kudos go to Shendra Hanney who did an amazing job of organizing these concerts. Mr. Arnstein's concert ranges from classical gems to whimsical jazz and includes his composition "Hypnotico: Under the Shade of the Cedars" inspired by the rainforests of the Sunshine Coast. Peter also performs on Saturday, July 20, 2013 at 7:30 p.m. at the Highland Centre in Roberts Creek, and is a fundraiser for Music 46 Initiatives, which supports music programs on the Sunshine Coast. The Highland Centre is at 657 Highland Road (opposite the junction of Highway 101 and Lower Roberts Creek Road just north of Gibsons). Visitor Information Centre (Sechelt), Gaia's Fair Trade (Gibsons) and at the door.